NEWPORT BEACH, CA--(Marketwired - Nov 6, 2013) - NVISION Laser Eye Centers has expanded again in Northern California with its acquisition of another Sacramento-based eye center -- this time Capital Eye Medical Group in Carmichael, California. "We are thrilled that Dr. Mitra Ayazifar, with Capital Eye Medical Group, will be joining the NVISION family," says Todd Cooper, CEO of NVISION. "Dr. 'Mitra', as she is known by her patients, will be joining Dr. Richard Meister, Chief Surgeon, at our newest NVISION Laser Eye Center location in Sacramento." 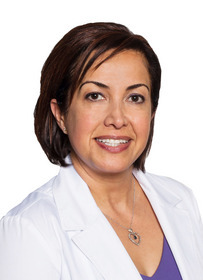 "Dr. Mitra will continue to offer her current and new patients comprehensive ophthalmology services, and oculoplastic surgery (cosmetic and functional eye lid procedures) as well as cataract surgery at the NVISION Sacramento location," said James Pereyra, Vice President of Business Development at NVISION. "I am thrilled to join the NVISION family," says Dr. Mitra. "It is truly an honor to be part of a company that is an innovative leader in the lifestyle surgical eye care with its exceptional team of surgeons who provide superior outcomes." Dr. Mitra received a bachelor's degree in Molecular and Cellular Biology from Berkeley; a medical degree from George Washington University School of Medicine and Health Sciences in DC; and her Ophthalmology Residency took place at Rhode Island Hospital/Brown Medical School. For more information about LASIK in Sacramento, go to www.nvisioncenters.com. NVISION Laser Eye Centers is an innovative leader in lifestyle surgical eye care with15 locations throughout California. NVISION is the first provider in California to offer LASIK eye surgery with the Swiss-engineered Ziemer Femto LDVD™ Crystal Line Laser. In addition, NVISION is the first provider in California to offer the bladeless, computer-controlled LenSx laser -- unquestionably the most technologically advanced option for laser cataract surgery, and the first in the nation to offer Avellino DNA testing for an added level of LASIK safety. With more than 1500 eye doctors who refer their patients and trust their own eyes to NVISION surgeons, NVISION Laser Eye Centers is the Eye Doctors' #1 Choice®. For more information, visit www.NVISIONCenters.com or call 1-877-91NVISION (1-877-916-8474).